I’m no expert on living with a boy yet, but I thought I could share some tips on making your house a home quickly! With my mom, one of her best friends and lots of trips to Homegoods we were pretty much done by the first week, so I thought I’d share what I learned in the process. You want your home to be cohesive, so my tip is to pick a theme and two prints or “shades” to help you get an idea of what you want to decorate with. This also allows you to mix in other pieces that you think might “not work” because they don’t technically match, but as long as you have a theme and standard prints or shades you are good to go, girl! Good to go! Pineapples mean hospitality and I have always loved them since I was little [they may even make an appearance or two in our wedding! ;)]. We have a pineapple door knocker and so many pineapple touches. From candles to vintage brass pineapples they are scattered throughout each room. 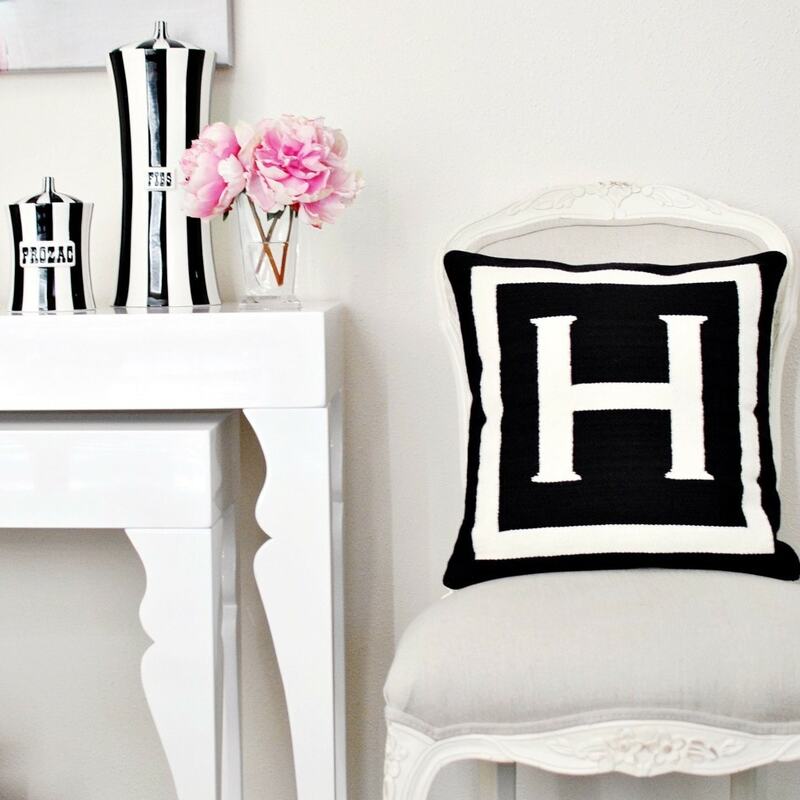 From window treatments to pillows and coffee table books, I knew having an underlying black & white pattern would allow touches like flowers and candles to pop and be brighter. I love anything with a Chinoiserie touch! My aunt lived in Europe when she first got married so she has handed me down so many blue & white plates and pieces from her time living there. 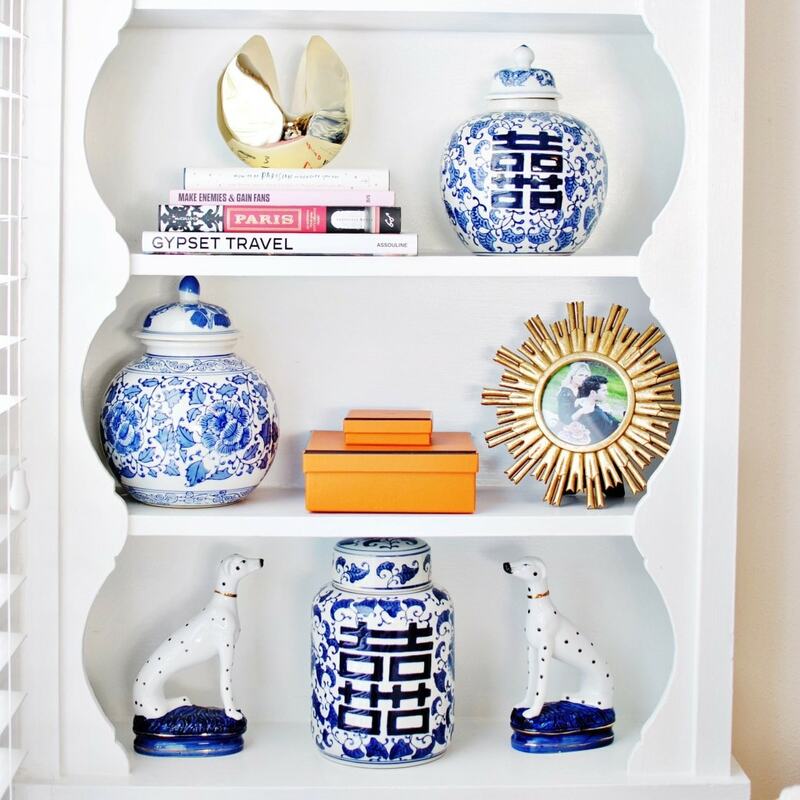 I layered bookshelves with ginger jars and our kitchen with blue & white plates. These are classic staples that allow you to intermix more trendy pieces and not have to redecorate once that comes & goes. Most of the time, I think people know 1-2 months ahead before they will move! Whether your lease is ending or you are waiting on the closing period for your home, take that time to plan your rooms. Moving into a blank canvas is super overwhelming and can lead you to make really quick decorating decisions that you may not love later on [I learned that with my first apartment!]. What do you want the focal piece of that room to be? 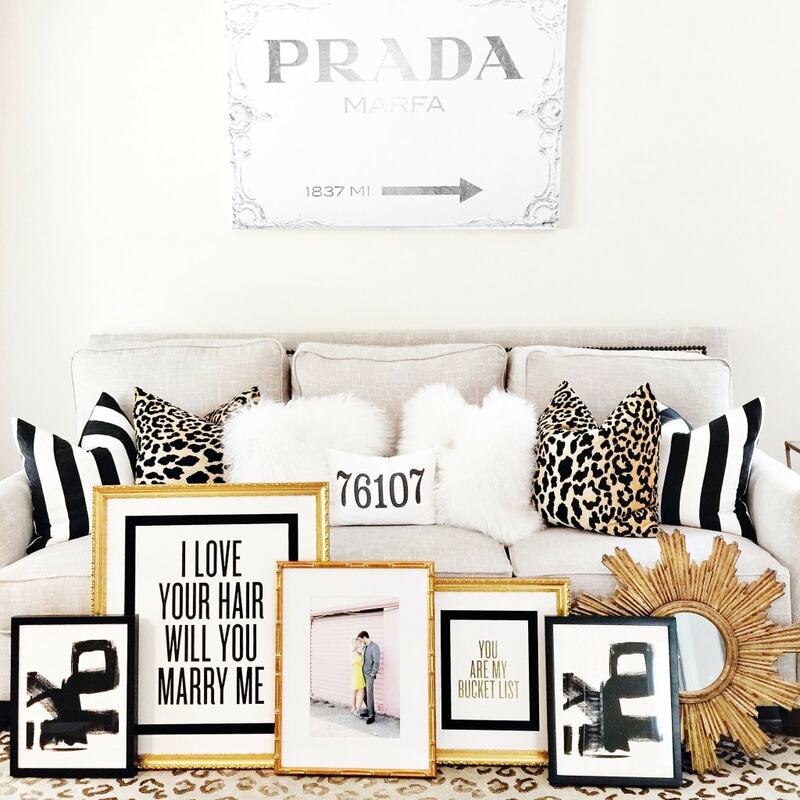 Your bed, your gallery wall or furniture? 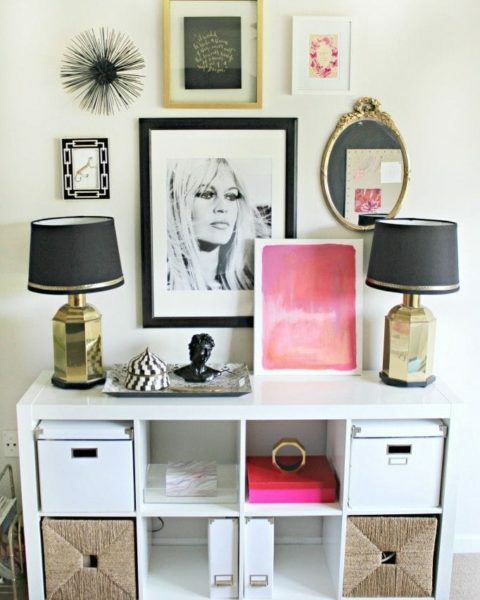 Decide that now [you probably already have your focal piece!] and you can decorate around it. Make sure it is the first thing guests see when they walk in. Decide on one thing you want to splurge in for each room. 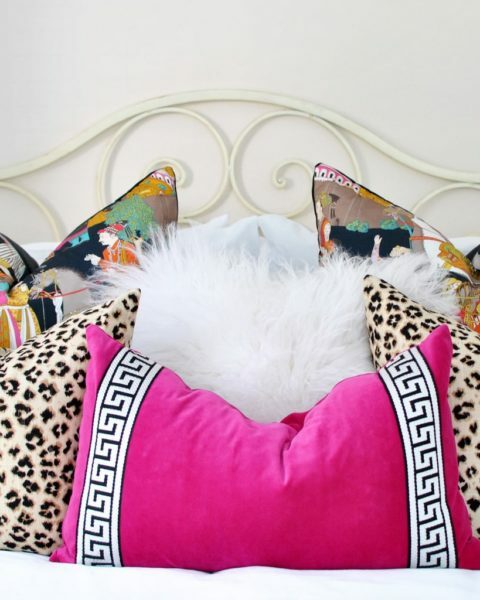 I definitely splurge on pillows! I think they last forever and take a room from “just woke up” to “Beyonce” in 2 seconds! Find something that gives you joy and you will never regret! But I also told myself I could really only splurge on 1 piece per room, and that gave me a good perspective with budgeting. Pick 1 DIY per room also! This will make it a fun project with girlfriends or your other half. We did plenty of gallery walls and little accents that were crafted for a room. It brings warmth to your home and is always a conversation piece. If you aren’t into crafting reuse your candles! If you have a beautiful candle jar stick it in the freezer once it’s used up, the rest of the wax will pop out and wash it with vinegar! Fill your candle jars with flowers, cacti and pens. Once you’ve saved, splurged, found your focal point and crafted wait on one piece. It could be a headboard, a coffee table [that was ours!] or your dining room table. Leave your rooms undone for at least 4 weeks and keep your eyes peeled for that special something. One Kings Lane is my favorite place to search! 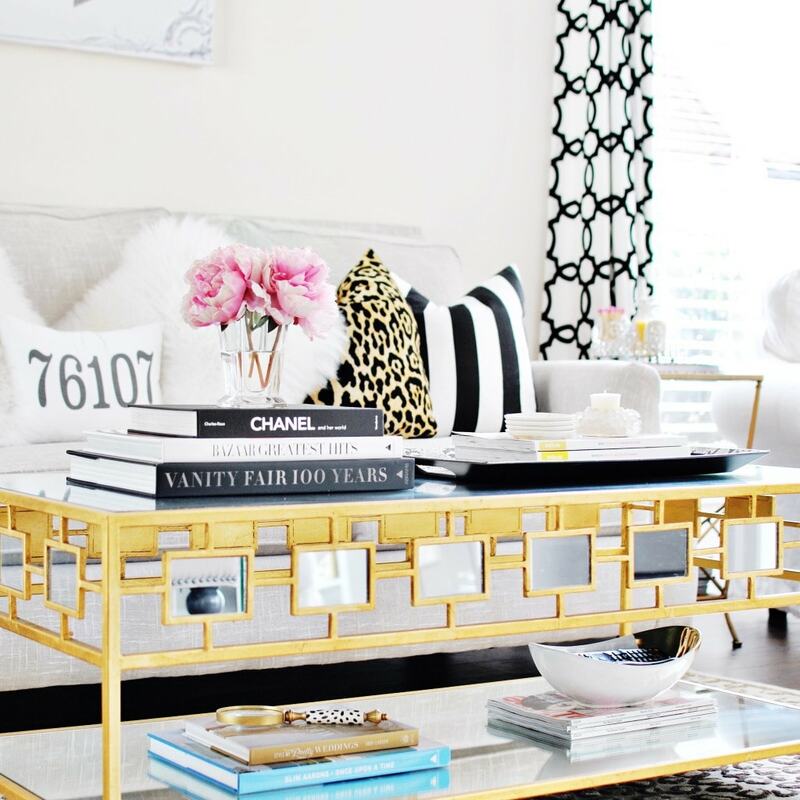 They have designer furniture for flash sales and you can afford your dream piece! This also helps your room not look like an example at Rooms To Go. It keeps the room eclectic since you didn’t try to buy everything at once and be “matchy matchy.” Your theme and 2 prints will keep the room cohesive, but you don’t want all the furniture to look like it’s from the same vendor. You’ve planned, your picked a theme and then you move. Each time I move Paul always gets stuck with crazy meetings at work and I feel so overwhelmed. Thankfully, one of my mom’s best friends was there to help and so were my girlfriends! Once the movers dropped everything off I sat there [freaking out! I hate messes and moving is one big disaster of a mess.] and asked if anyone wanted to go to Mi Cocina so I could escape! I thought that was a big ridiculous as I had boxes and furniture to be moved around. However, she had made sure I washed my linens the night before and she was 100% right. Once I made my beds with fresh sheets everything seemed so much easier. It was a total mind thing, but I was more careful with where I placed boxes because my rooms felt like “rooms” and not just storage centers. So first thing when you move, make your beds! My secret to decorating is flash sales. 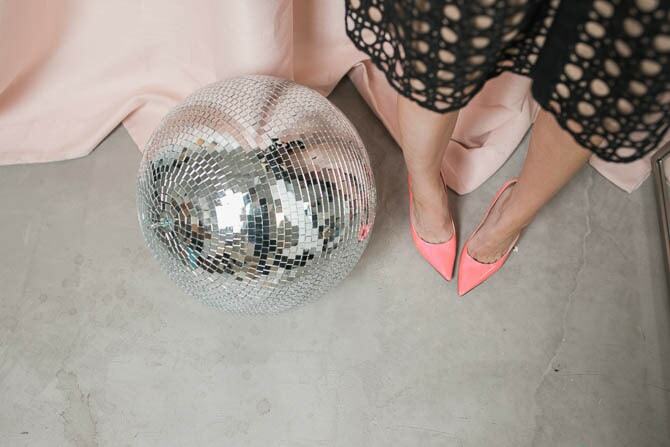 These are all flash sale sites that provide really chic pieces for a steal. However, most of the time, the pieces are only on sale for 24 hours. Things sell out really quickly and don’t come back in stock. I’d just set the alarm on my phone for the times the sales started and would shop! I would get pieces that were regularly $1,500 for $350. The cons? Of course pieces sell out quickly, you always have to be online surfing and if it is delivered damaged and they have to come get it normally there isn’t one to replace it. BUT I’ve never had that happen and heard if it does, you get a refund AND gift card! I shared my spring cleaning tips a while back here, but moving requires a different type of decluttering. Take your spring cleaning and multiply by 20. Get rid of old papers. 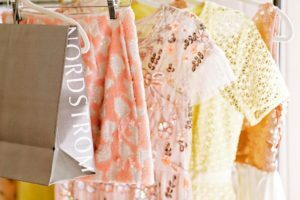 Get rid of clothes you haven’t worn. Get rid of old, dusty candles. Take everything you think you want to move and get rid of 1/4th. It’s really difficult to make decorating decisions with clutter and I’ve had to talk myself into it a million times with this move! Trust me! I’ve had those moments where I’ve thought, “But I bought this and like I might want to use it. I might!” Then I’d realize, if I hadn’t found a great home for it immediately, it was because it wasn’t meant to be there. 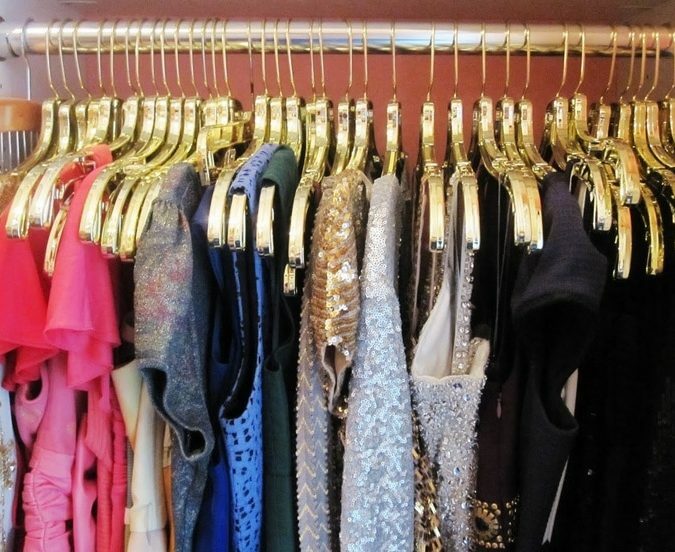 Donate your pieces and you’ll feel so much more clean and organized! 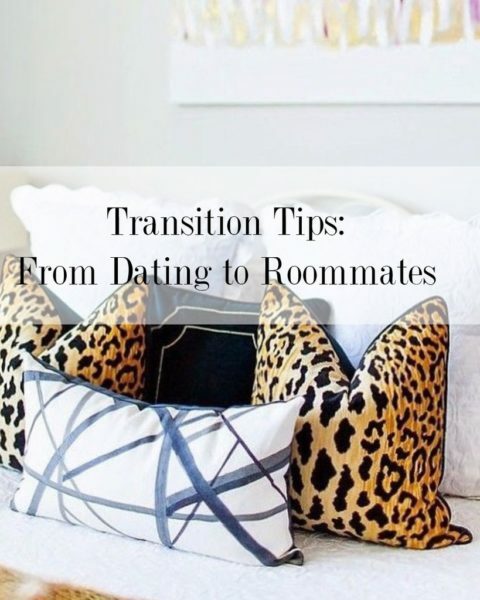 I hope this helps you transition in moving or even feel more at home in your place now! I’ll round up a few key items I think make any home perfect below! Love the way you have your home set up. I do have a question for you though. My living room is pretty huge, it fits two sofas and a love seat and still have plenty of room to walk around. What kind of sofas would you recommend? Right now we have some from rooms to go but im not really a big fan of them. Hey girl! I just read this post and I swear we are the same person in the same boat!! lol Our only difference is I’m obsessed with blue and white instead of black and white! I remember we talked about our new “old” houses at the conference lol with our tiny bathrooms and mirrored medicine cabinets! We finally finished moving and unpacking most things yesterday and I’m currently on my way back to home goods right now! It’s addictive between World Market, Target and Homegoods! I can’t stop!! Anyway looks super cute and great tips! Your home is a dream.. seriously might be copying it for my first apartment! I love it! i loved the article and the room. The ghost chairs I absolute love. Where can I find them. I need ASAP. You did an amazing job. It’s a beautiful! Thanks for sharing your tips! I find that doing the same planning helps when moving to a new home (military life) and even when you want to redecorate. Katey your home is so beautiful! I absolutely love pineapples, most likely because my mom has them all throughout our house and we both love hospitality! 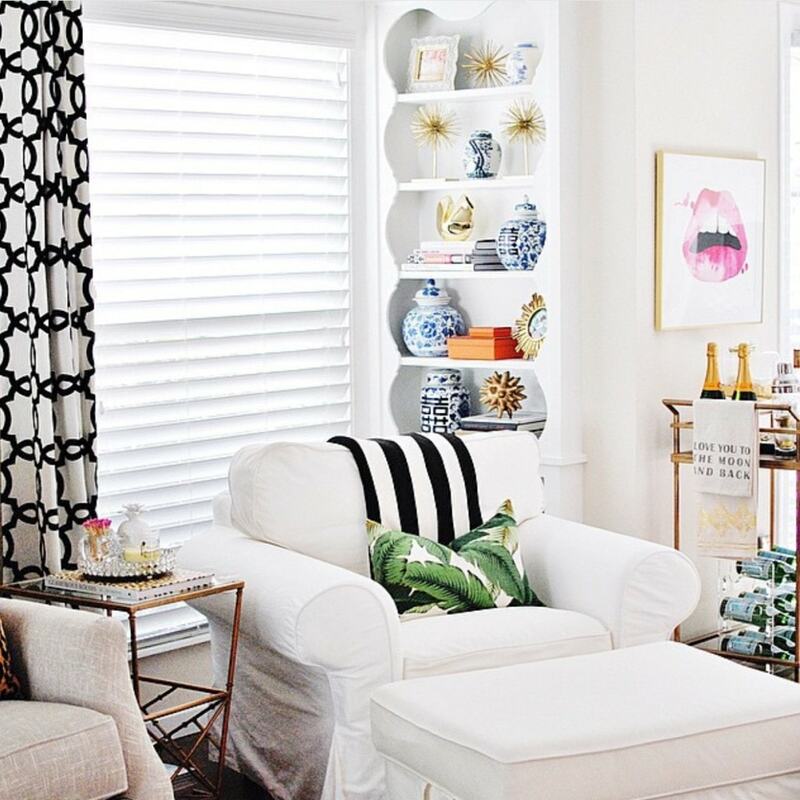 I just love how your home is beautiful and stylish yet still very comfortable! I can’t wait to get to decorate my home one day! Thank you for sharing your beautiful space with us! I’m so jealous that your future hubs lets you decorate and doesn’t have a strong opinion! I have been fighting to decorate our house for 4 years and it’s not easy! 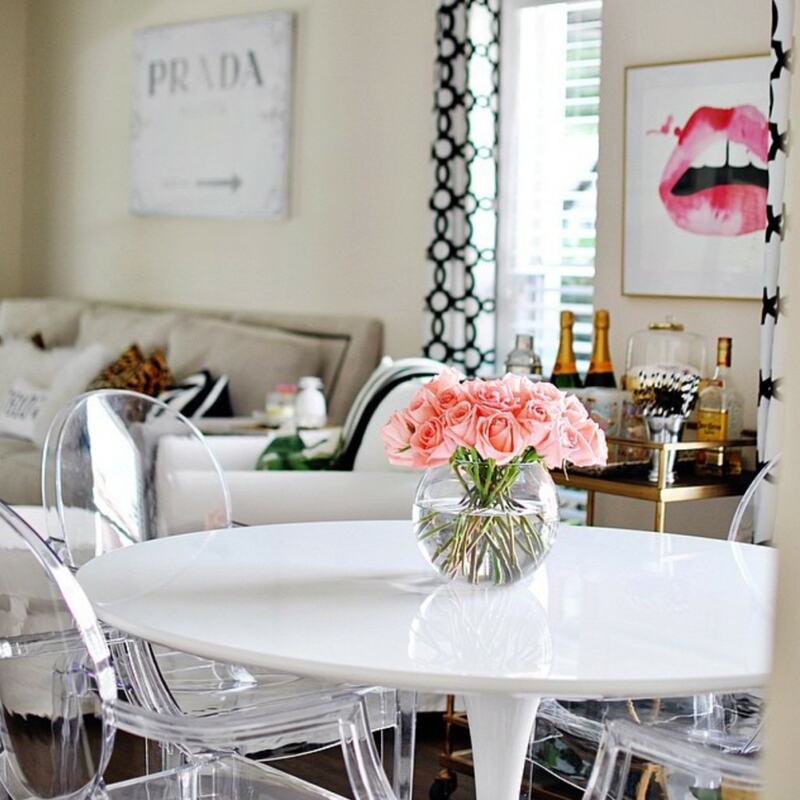 Your living room/dining room is adorable! Love how you incorporated budget-friendly pieces. And I’m so impressed with your timeline on getting everything in order. Looks great! I have always been amazing at your decorating skills!!! I love everything about your new home <3. I already have a couple of these, but I am DEFINITELY getting that headboard! What a great find!! I also have a One King's Lane coffee table, but yours is so gorgeous it puts mine to shame! Thank you for sharing!! Girl, I love your style! So chic and loved all your tips!! Thanks for sharing with us! In the works of decorating my first apartment and cannot agree with you more on all counts.